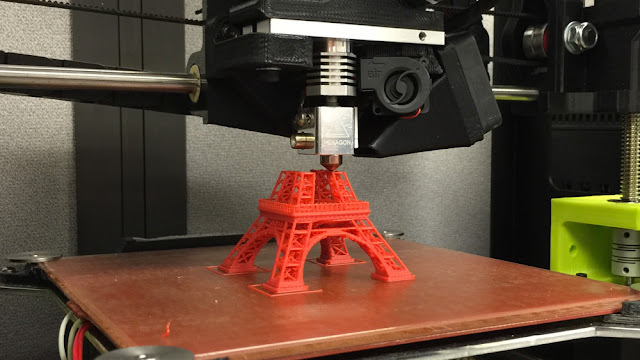 Ground Reports Technology 3D Printing: The way forward? 3d printing is a technique used to create physical three-dimensional models from digital prototypes by shaping liquid or solid molecules into the desired model. Usually plastic is used as the raw material for molding. There are food printers that can produce your favorite food in fanciful shapes. 3D Printing seems to be one of the best emerging technologies of the 21st century. 3D models have many interesting uses. They are of great help during the prototyping stages of product development. With a 3d model, the product developers can verify if they are in the right direction and can save many wasteful iterations. 3D models also find applications in academia, research, surgery, and even toy-making. Many new 3d printing companies in United States have sprung up owing to the increasing demand for 3d printed models. 3D Printing started off mostly as a research job, without much focus on its effective usage in businesses. The previous decade saw most companies allocating limited funds and resources, doing case studies and identifying possible business worth. This decade, especially the second half, has seen a massive shift of focus with respect to funding and usage of the 3d printing (3DP) Technology. Companies have started manufacturing 3D Printers, providing 3D printing and repairing services as well. One of the best-emerging companies, located in Massachusetts, US, has been focusing on printing using resins. It customizes the end products for a variety of applications like jewelry making, manufacturing, dentistry and toy making. They are also currently focusing on automating the entire 3D printing process. Another 3DP company based in Mountain View, California, focuses on developing spare parts for use in Space Programs. It has partnered with NASA to produce 3d parts that are optimized for zero gravity and other peculiar conditions that exist in space. They are aiming to provide sustainable 3D printing solutions that can be used directly in space. This facilitates on-demand printing of required parts in space without the need to carry them from Earth. A Dutch firm, started in 2013 has been a pioneer and a trendsetter when it comes to conceptualizing and commercializing 3DP. Their consistent effort has transformed 3D Printing into a more affordable technology that can be used by the end customers as well. In short, they have taken 3DP technology to the common man. They also provide servicing and spare parts. Recently they have started foraying into 3DP with metals. This Dutch firm has an extensive network across the United States to serve an ever-increasing demand for 3DP. There has been a phenomenal increase in the demand for 3DP products, especially in the manufacturing, healthcare, defense and aerospace sectors. According to a recent research, the 3DP market of the best 3D printing business in the United States is set to grow exponentially in the next few years. Funding has been very promising and a lot of startups are starting to see their efforts pay off.